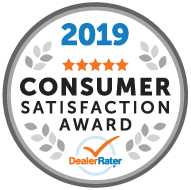 There's only one destination with best-in-class tire servicing equipment: Davis Chevrolet Airdrie. 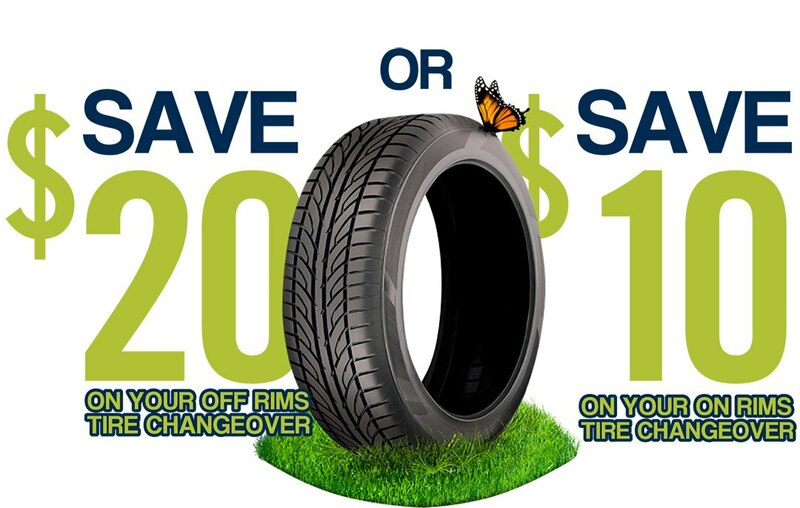 This season, save $20 on your off rim tire changeover or save $10 on your on rims tire changeover. 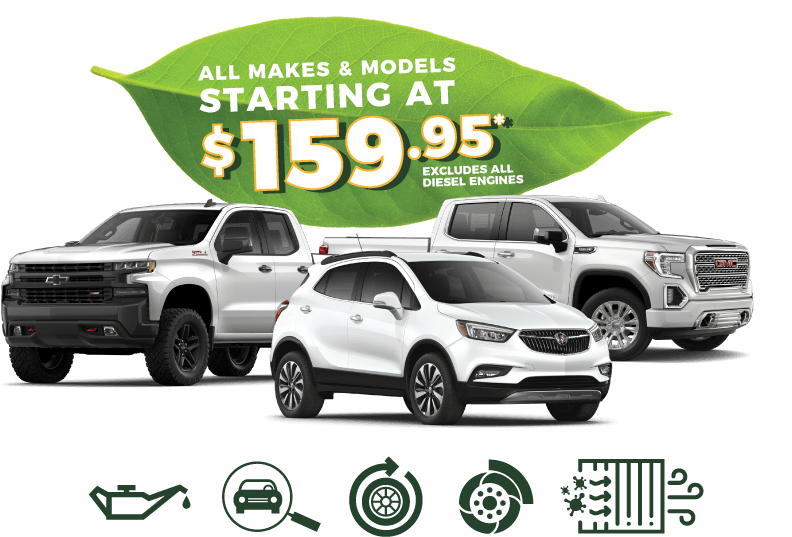 Do you own an older model vehicle? 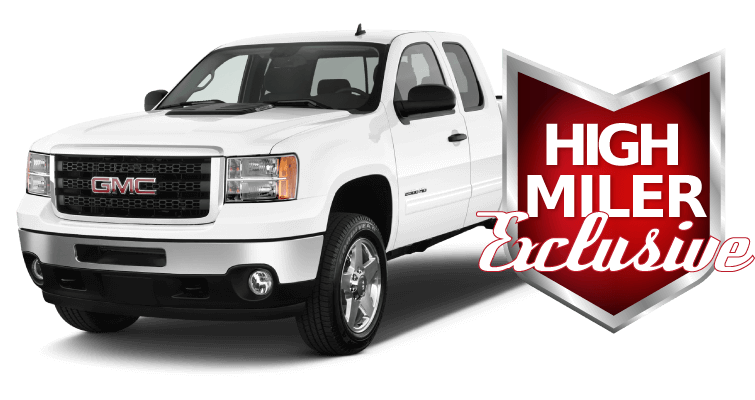 It could qualify for the High Miler Exclusive offer! Take a selfie with your pet in our service lane and we will give you 10% off your next service! 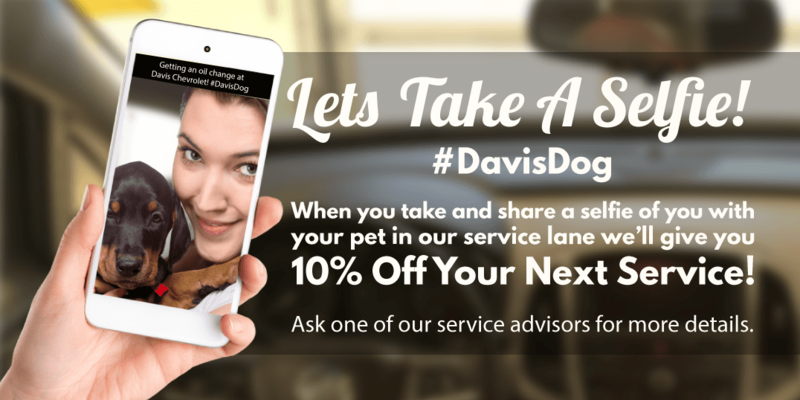 Just show your service advisor the selfie and how you shared it to your friends with #DavisDog and they will give you your coupon.